I’m in joyful disbelief to hold the September issue of POETRY, open it up, and encounter my visual poems inside. And they fold out! Thank you so much, Fred Sasaki, for creating such a wonderful home for these works, and Don Share, Holly Amos, and Lindsay Garbutt. My copy of the issue arrived in the mail, and it is filled with such beautiful poems! I’m grateful that my works are part of it. I also want to express how thankful I am to Yaddo, where I created the full Afterimage series. Special thanks also goes to Doron Langberg for visiting my studio and giving me helpful insights while I was still figuring out what I was doing with these works. 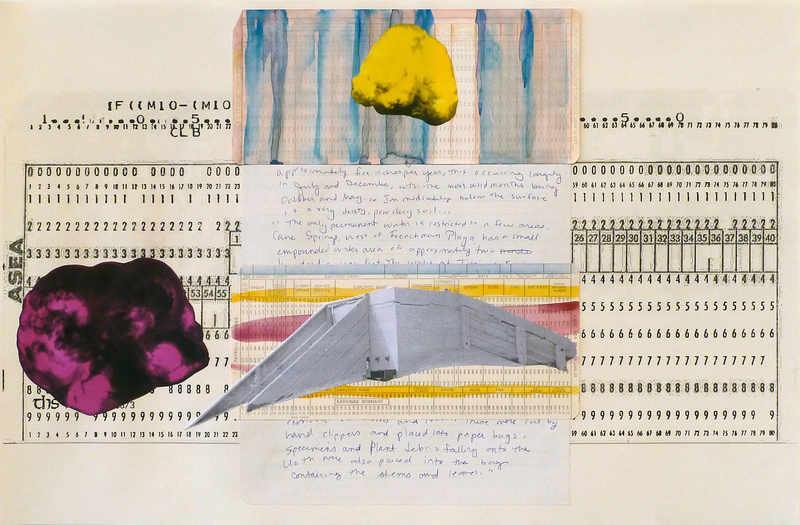 The Afterimage series engages with computer punch cards from the Los Alamos Labs, notes from research I did for my second collection of poems (Hawk Parable), and images of the Trinity Test atomic cloud (detonated in July 1945, in New Mexico). I wrote more about these in an essay for the Harriet Blog. Thank you so much to the Poetry Foundation and Poetry magazine for supporting my work. PreviousNew essay in The Rumpus!